Some folks say that the 2014 edition of the (in)famous San Diego Comic Con was a bit of a letdown. But your faithful Four-Color Fanboys, Brian and Al, have been hanging on all the comic book announcements from the annual pop culture mecca, and they like a lot of what they heard! 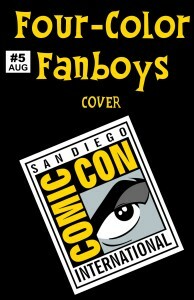 From DC’s Multiversity and Batman ’66 to Marvel’s Star Wars and Agents of S.H.I.E.L.D., they’ll go over all the Comic Con goodies that have them excited for the coming year of comics, plus their usual meandering digressions (into questions like: Why, exactly, is Dazzler on the cover of an issue of Uncanny X-Men in which she doesn’t appear? Is there anything written by Grant Morrison that Brian might actually like?) 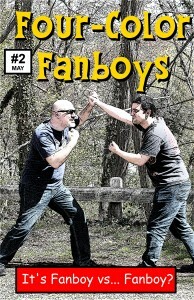 on this all-new episode of the Four-Color Fanboys podcast!